The US is to blame for the rise of Al-Qaeda and its late mastermind Osama bin Laden, which it empowered to fight Soviet troops in Afghanistan, Vladimir Putin told Oliver Stone. Putin also said there is proof the CIA supported terrorists in Russia’s Chechnya. 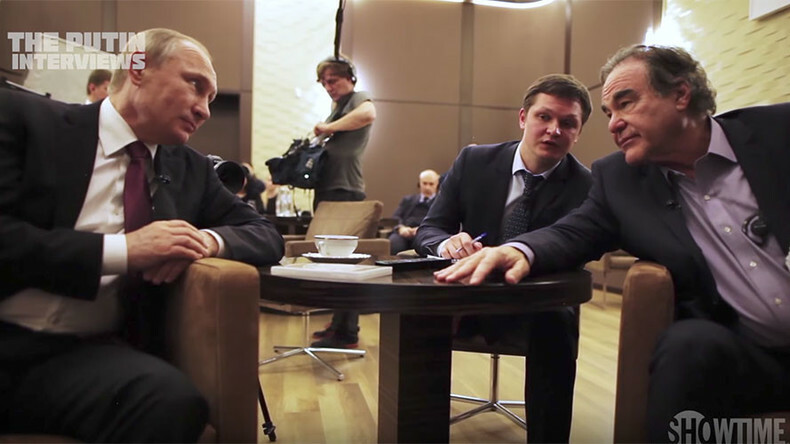 In the first episode of Stone’s hugely anticipated Showtime series, which aired Monday night, the Russian leader reflected on the origin of Islamic extremist groups, including Al-Qaeda. Washington should have foreseen that backing Islamists will backfire, with extremists eventually getting out of control. “It always happens like this. Our US partners should have been aware of it. It is their fault,” Putin said. Nevertheless, Moscow stood by the US’s side after the 9/11 terrorist attacks, claimed by Al-Qaeda. In a show of solidarity with Washington, Moscow decided to scrap the scheduled war games following the attack, Putin revealed to Stone. “In these kind of situations the first persons are in need of moral and political support. We wanted to show that kind of support,” the Russian leader said. “If we speak about a political support, there is no need in proving evidence. It has been done publicly, openly. And if we speak about urgent financial support – we have such evidence and furthermore have already provided it to our US colleagues,” Putin said. Later, however, Moscow got a letter from the CIA through “partner channels,” which suggested there will be no change in policy on the issue. “Indeed, we have later received via our partner links a letter from the US CIA, which said that our colleagues consider that they have a right to maintain relations with all the representatives of the opposition and would continue to do so. It was obvious that it was not only about opposition groups, but about terrorist groups and organizations,” Putin said. Touching on the issue of the current state of the US-Russian relations, Putin said that if the US strategy toward Russia is indeed focused on disrupting its economy and toppling its government to get hold of its vast nuclear stockpile, then it is incredibly shortsighted. “I think that it is a wrong policy exactly because such understanding of relations with Russia is not aimed at future. People, who think like that, do not see further than 25-50 years ahead,” Putin said, adding that attempts to turn Russia state into a vassal state will inevitably backfire. The Russian president argued that the US has “got a false sense that it is able to do everything without any consequences,” in particular after the Soviet Union’s collapse. “In such a situation, a man or a country begins to make mistakes… The state begins to function ineffectively. One mistake follows another. That is the trap in which, as I believe, the United States got caught into,” Putin reflected. 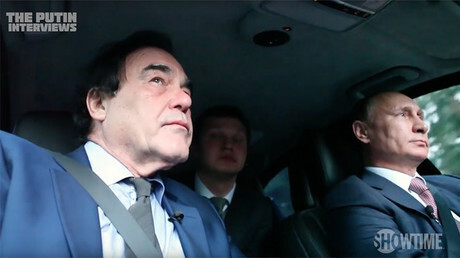 The Showtime network began airing “The Putin Interviews,” a four-part series by Oscar-winning director Oliver Stone, on Monday night EST.